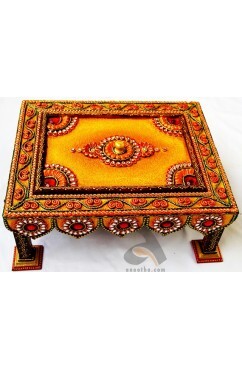 Handcrafted Papermache Dry Fruit Chowki Shape. By buying this product you can collect up to 420 loyalty points. Your cart will total 420 points that can be converted into a voucher of ₹ 42.00. 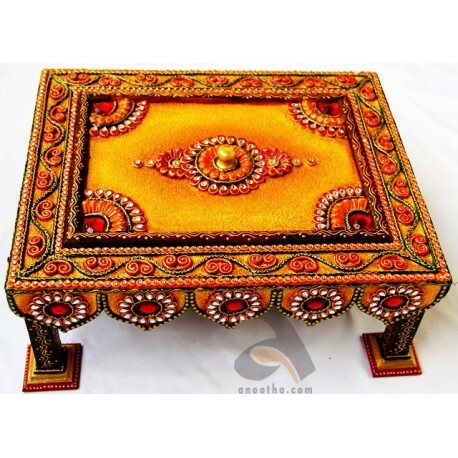 This Chowki Shape Dry Fruit Box is handcrafted by highly skilled Rajasthani artists. 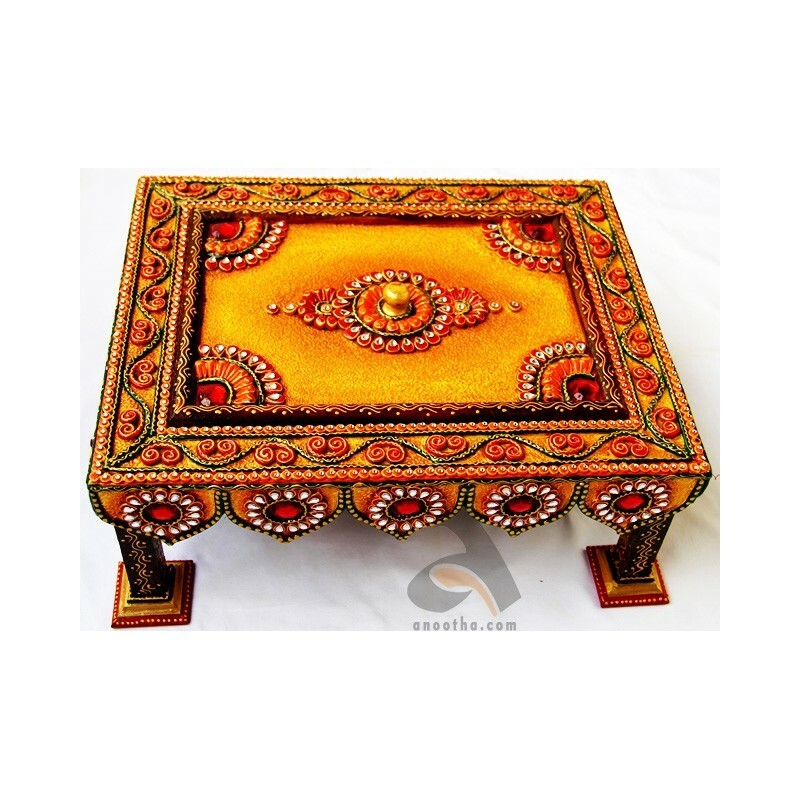 The beautiful coloured Dry Fruit Box is very elegant and graced with kundan work.